The pony European championships took place at the Bishop Burton college from the 8th to the 12th of August 2018. The three Olympic disciplines, Jumping, Dressage and Eventing were reunited at the same place, at the same moment. France left Great-Britain with 2 bronze medals. The French Jumping team, composed by Fiona Tissier, Léane Desmeure, Romane Orhant, Ilona Mezzadri and Laura Dequevy ranked at the third place of these pony championships, after a difficult class and suspense until the last minute. But Ilona Mezzadri, the last French to go, stayed focus and allowed her team to take third place on the podium, before Ireland. Great-Britain and Sweden are 1st and 2nd. 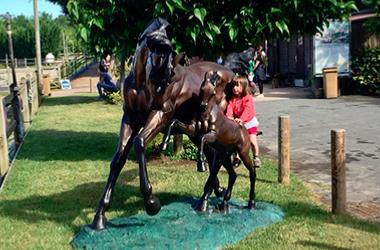 On Sunday, the French Eventing team finally won its bronze medal too. While ranking at the third place behind Great-Britain and Ireland, Mina Saiagh, Gaetan Couzineau, Louise Petitjean and Lisa Gualtieri gave to France its 2nd medal of the championships. It is also the 6th year in a row that the French eventing team is on the podium during the pony European Championships. France, U16 Horse-ball European champion!! Bishop Burton was also the occasion to host the Horse-ball European championships for riders under 16. 6 teams from 6 different countries fought for the title. After winning 3 matches against Portugal, Belgium and Spain, French finally beat Italians with 7 goals against 6 in final. They left to France with the European champion title! 7 drivers left for Hungary to represent French driving from the 16th to the 19th of August. The children Julia Jung and Kilian Lenormand, the juniors Laurie Gérard and Valentine Lenormand and the young drivers Célia Assailly and Mathilde Baylac participated to the European Driving championships that took place at Aszar Kisber in Hungary. Mathis Bousquet was competing in individual children category. Driving classes are composed by three classes that drivers attend with their horses. Dressage, Marathon and Cones. At the end of these three classes, the French young drivers took the bronze medal. With a score of 401.46 points, they ranked just after Germany and Hungary, that became vice European champion at home. France in a good shape in July! 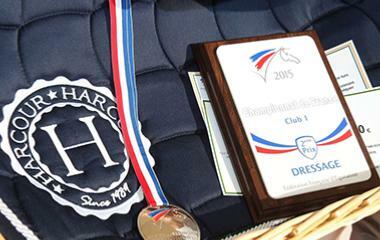 As the official supplier of the French Equestrian teams, Harcour is getting back to their performances. 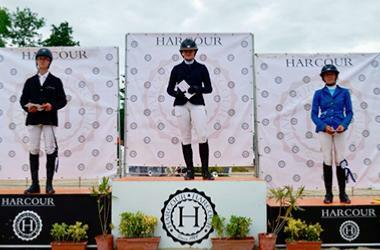 Despite some below-average performances in showjumping, the young riders left Fontainebleau with 4 gold medals in Eventing and 1 bronze in Dressage. 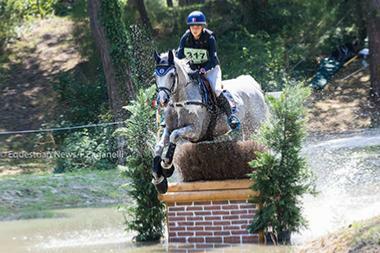 Great success for the French eventing team! 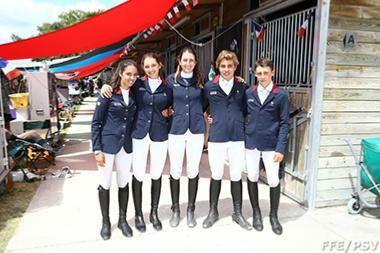 Indeed, the young French teams won all the teams and individuals eventing classes. 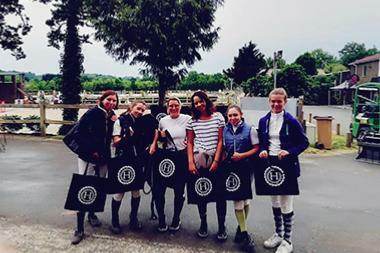 Anouk Canteloup, Chiara Autin, Zazie Gardeau, Julie Simonet, Antoine Deletain de Vienne & Nina Scherer are the junior young riders sponsored by Harcour that entered the crosscountry class of Fontainebleau. Not any mistakes had been made by these 6 riders, that also finish in time for this class. 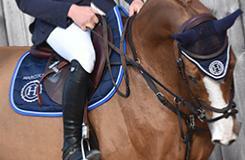 After the showjumping, the riders won a great and deserved gold medal, while Anouk Canteloup won the individual class. While her teammates from the children category won the team bronze medal, Capucine Noel, Harcour ambassador, took a great 13th place with a score of 69.852%. 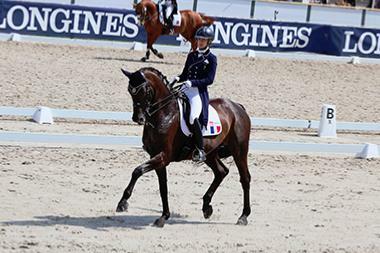 Very promising result for the French champion who was competing for the first time in the European championships! 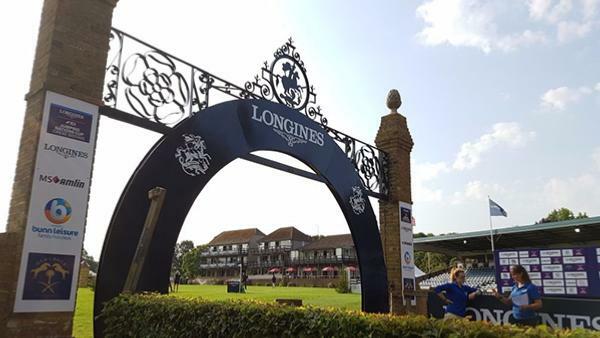 The Nations Cup of Hickstead signed the last step of these series 2018 of Dressage. And the French team composed with Alexandre Ayache, Anne-Sophie Serre, Arnaud Serre, Pierre Vola ended with a high note by winning this class! It allows France to end at the 7th place with 21 points. This Nations Cup is won by Sweden with a total of 55 points. 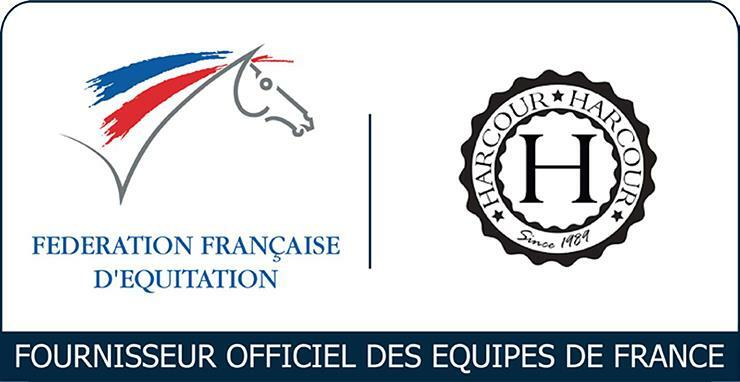 For the 4th time in a row, Harcour will be present at the Generali Open of France in Lamotte Beuvron and will meet you from the 7th to the 15th of July 2018 for the Ponies French championship and from the 21st to the 29th of July, for the Clubs. This year, Harcour associate with Alpha Beta to offer you a 100m² store where you will find the Spring/Summer 2018 collection in limited edition in addition of the permanent collection. Come to meet us in our store, next to the Pavillon in front of the honour field (Field 5)! This year, the French championship will also be the opportunity for Harcour to offer to everybody, the "France” collection. 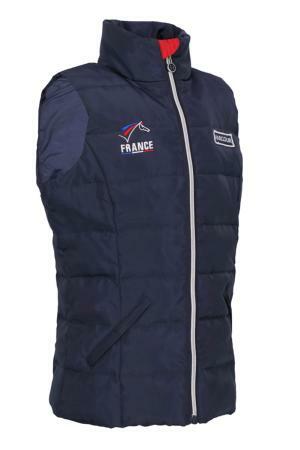 You will now be able to wear the same clothes than your favorite French riders! Back on the most endowed jumping competition in France, HARCOURThis year again, the most endowed jumping competition in France, which took place from the 25th to the 27th of May, was a real success. Indeed, we could count on 2 000 competitors and 91 000€ of endowment and 40 000€ of gifts was distributed. Because a diversity of events causes a funnier competition, in addition of the jumping event, the Boulerie Jump, European pole of the Horse hosted derby, 6 bars and dressage events. 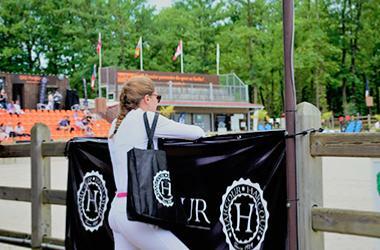 The ranked riders could pick up their prizes to the pop-up store, whereas the Harcour official store welcomed everyone interested by a shopping session. Finally, Harcour wanted to offer a welcome pack containing gifts to every participants to welcome them on the competition.